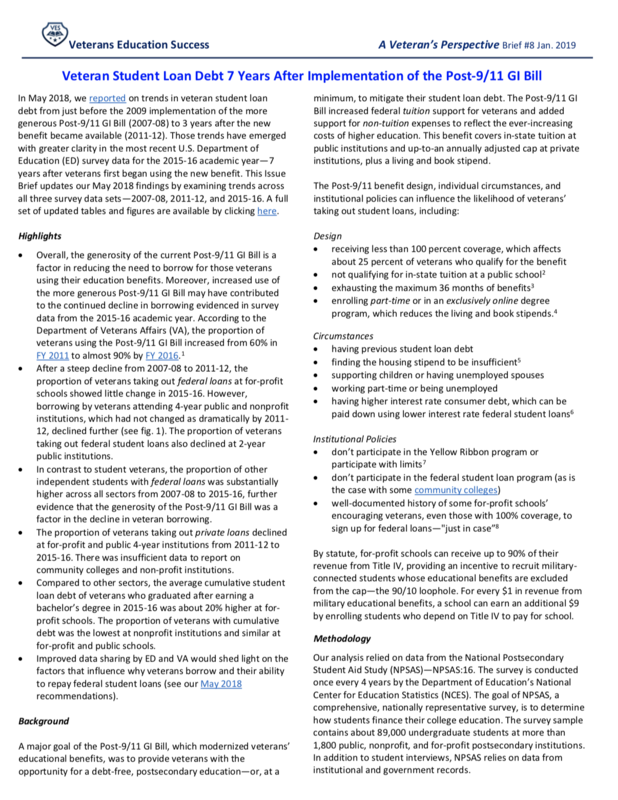 In May 2018, we reported on trends in veteran student loan debt from just before the 2009 implementation of the more generous Post-9/11 GI Bill (2007-08) to 3 years after the new benefit became available (2011-12). Those trends have emerged with greater clarity in the most recent U.S. Department of Education (ED) survey data for the 2015-16 academic year—7 years after veterans first began using the new benefit. This Issue Brief updates our May 2018 findings by examining trends across all three survey data sets—2007-08, 2011-12, and 2015-16. A full set of updated tables and figures are available by clicking here.